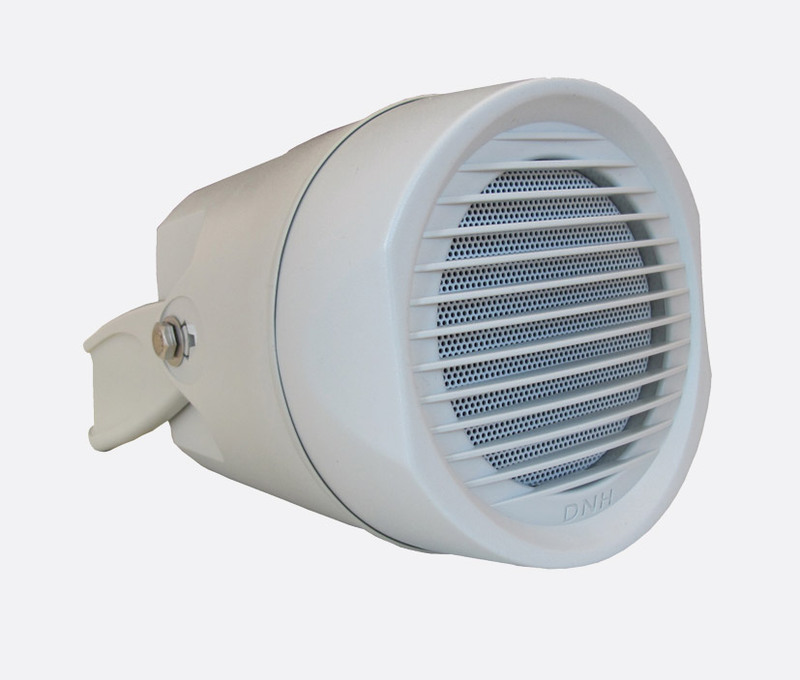 These weatherproof loudspeakers 'are suitable for installations such as offices, shopping malls and transport'. 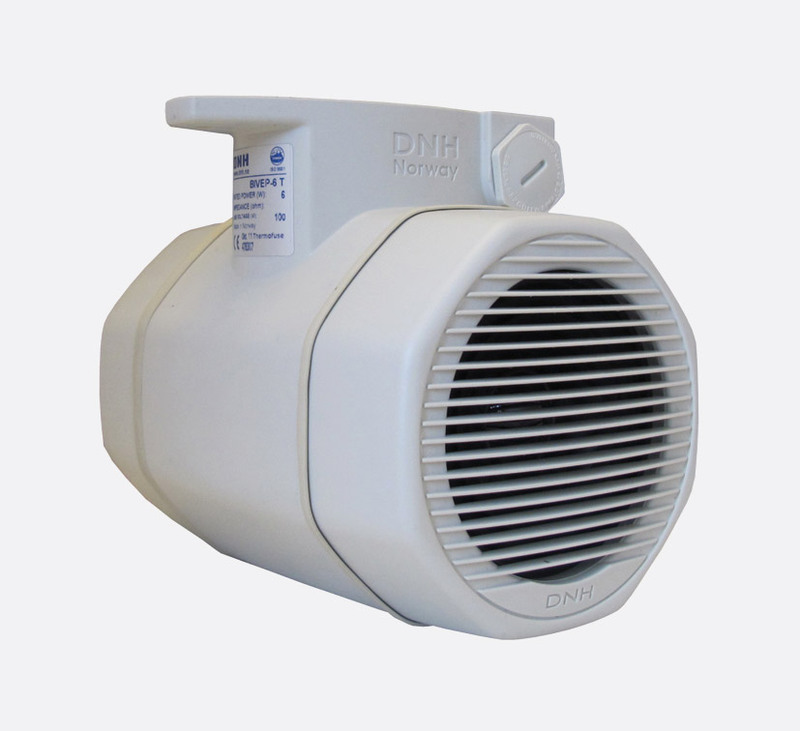 The DNH BiVEP-6(T) is a 6 watt, IP44 weatherproof, bi-directional projector loudspeaker with a maximum sound pressure level of 94dB(A), suitable for installations such as offices, shopping malls and transport. With a frequency response of 150Hz to 20kHz and a dispersion angle of 360 degrees at 1kHz, this compact loudspeaker features dual M20 gland entries and a large termination chamber accessible by removing the front grille for ease of installation. Cable termination is by screw terminals. An integral foot bracket with two 6mm diameter fixing holes is provided. A multi-tap transformer is fitted to the line voltage models that allows adjustment of sound output. 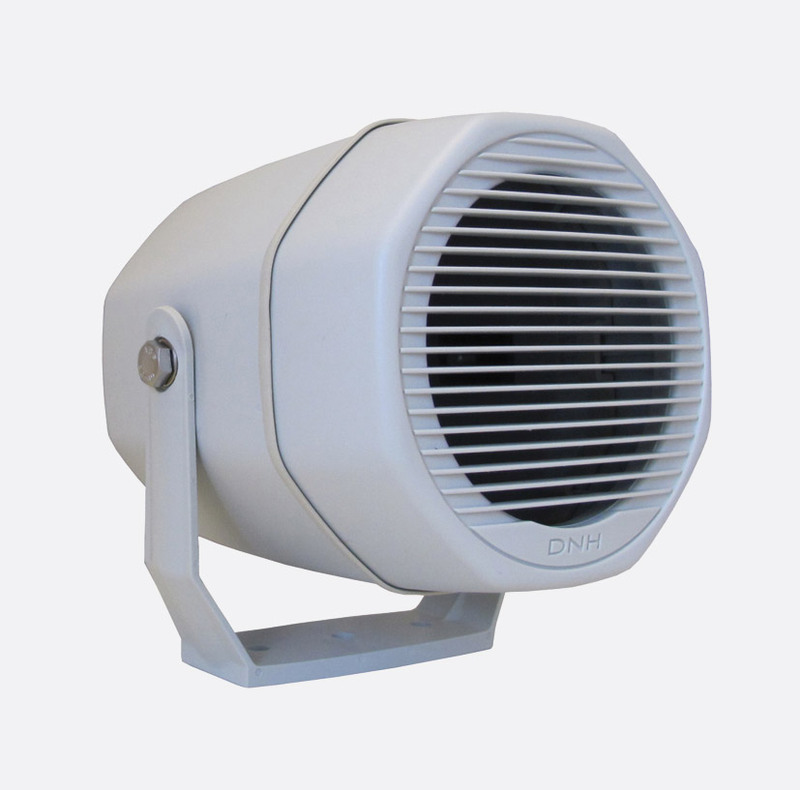 The DNH VEP-6(T) is a 6 watt IP44 weatherproof projector loudspeaker with a maximum sound pressure level of 94dB(A), suitable for installations such as offices, shopping malls and transport. With a frequency response of 150Hz to 20kHz and a dispersion angle of 210 degrees at 1kHz, this compact loudspeaker features dual M20 gland entries and a large termination chamber accessible by removing the front grille for ease of installation. Cable termination is by screw terminals. A U shape bracket with three 6mm diameter fixing holes is provided. A multi-tap transformer is fitted to the line voltage models that allows adjustment of sound output. The DNH VEP-15(T) is a 15 watt IP55 weatherproof projector loudspeaker with a maximum sound pressure level of 104dB(A), suitable for installations such as offices, shopping malls and transport. With a frequency response of 140Hz to 20kHz and a dispersion angle of 150 degrees at 1kHz, this loudspeaker features dual M20 gland entries and a large termination chamber accessible by removing the front grille for ease of installation. Cable termination is by screw terminals. A U shape bracket with five 6mm diameter fixing holes is provided. A multi-tap transformer is fitted to the line voltage models that allows adjustment of sound output. Power: 6w rated 10w max. 6w rated, 10w max. 15w rated, 20w max.